The warm glow you see is from the stained glass shamrock night light from The Irish Gift House. 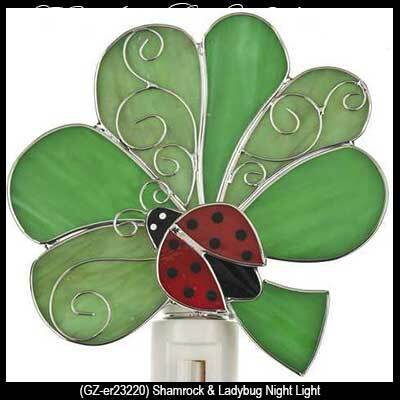 The green Irish night light is enhanced with an orange lady bug and it measures 4 1/2" wide x 4 1/2" tall. 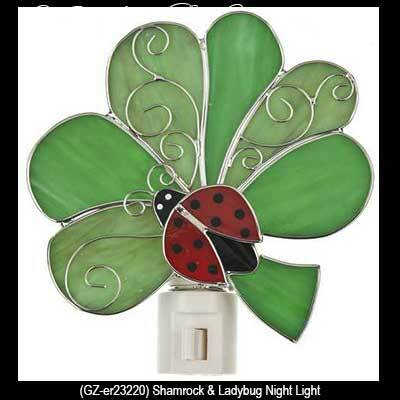 The shamrock night light features metal accents and it is gift boxed with the included bulb and a shamrock history card.